80 Percent of Recruiters Check Social to Vet Candidates | Challenger, Gray & Christmas, Inc.
As increasingly more social media platforms become popular, job seekers continue to expand their online footprints, creating and building multiple profiles. Now, the overwhelming majority of job recruiters are turning to the internet as a means of ensuring that potential job candidates are a good fit for their companies, according to a new survey released by global outplacement and executive coaching consultancy Challenger, Gray & Christmas, Inc. 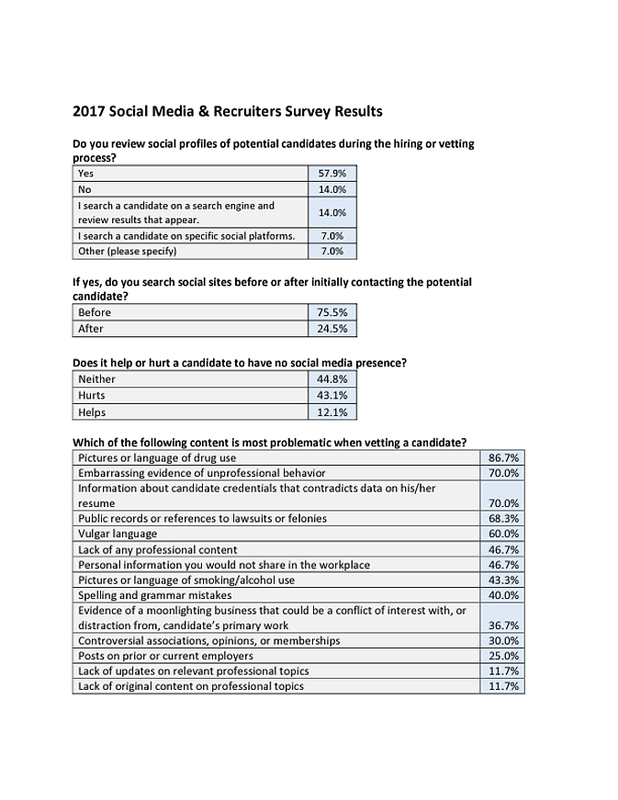 In the survey, conducted in April and May among 300 recruiters in a variety of industries nationwide, nearly 80 percent (78.9) of recruiters indicated that they use some type of internet or social media search as a means to vet or learn more about candidates, and 76 percent check these sites before they initially contact the candidate. With this in mind, candidates need to make sure that their online presence accurately expresses how they want to be perceived. Ninety-six percent of respondents reported that they check LinkedIn before contacting a candidate, while 40 percent check Facebook. Sixteen percent search Twitter, and 14 percent see what appears on a Google search. “It is more important than ever that job seekers are up to speed when it comes to using social media. Job seekers should Google themselves to see what appears and make any changes that may reflect poorly on them,” said Andrew Challenger, vice president of Challenger, Gray & Christmas, Inc. The Challenger survey found that the most problematic content for recruiters was pictures or language depicting drug use, followed by evidence of unprofessional behavior. Recruiters also reported that any public records on lawsuits or felonies was very problematic, as was any evidence that contradicted what appeared on the resume. While having unprofessional social media can hurt candidates, having no online presence is often concerning to employers as well. When the Challenger survey asked whether or not having no social media hurts a candidate, 43 percent of those surveyed replied that it did. While 45 percent of employers reported that it neither helped nor hurt to have social media profiles, many recruiters reported that having no online presence gave them pause, citing concerns over the tech-savviness of the candidate or ability to learn new technologies. “Employers want to hire workers who can adapt to the changing technologies used in business. If they cannot find anything about you online, it could indicate that you are clueless about these emerging technologies or tentative to learn them. 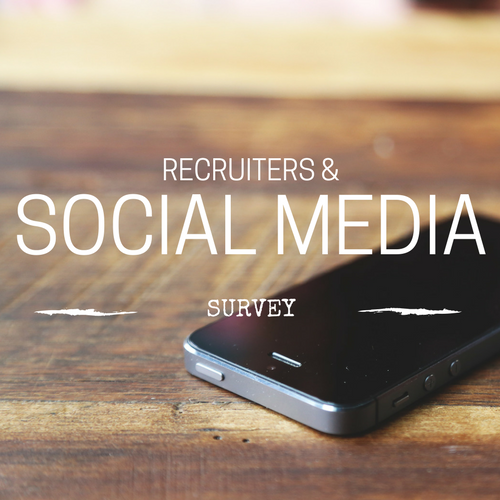 “There are ways to use social media advantageously during a job search. The first step is to delete any tasteless or controversial posts, and then to leave or create ones that show passions, hobbies, or professional accomplishments,” said Challenger. “Candidates who are less comfortable with recruiters checking in on their social media should make sure that they have checked their privacy settings, and that they understand how these settings work. On Facebook, for example, profile pictures are always public, even to people who are not connected, which means that it is important that this picture is appropriate,” he added. While most social networks have privacy settings, it is important to realize that friends can share posts on their personal social accounts which may not be subject to the same privacy restrictions. “The most important thing to keep in mind when it comes to social media is that every post gives recruiters a better picture of a candidate, and you want to make sure you’re putting your best foot forward,” said Challenger.